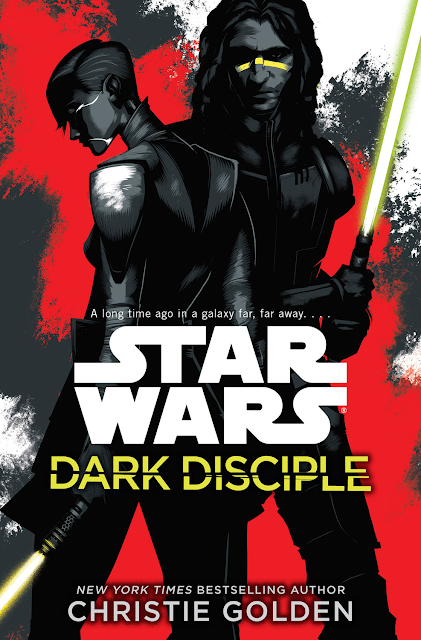 The Star Wars novel Dark Disciple, written by Christie Golden, was published by Del Rey on this day back in 2015. Dark Disciple is a Clone Wars canon novel starring Asajj Ventress and Quinlan Vos which was based on an eight-part story arc scripted for George Lucas' Star Wars: The Clone Wars. The scripts for these episodes were not produced in animated form prior to the show's cancellation. The episodes would have comprised of Lethal Alliance, The Mission, Conspirators, Dark Disciple, Saving Vos Part I, Saving Vos Part II, Traitor and The Path. The book was part of The Clone Wars Legacy multimedia initiative that continued the story of the hit animated show, which was first announced on January 7, 2014. The content released for the Legacy initiative did not just include Christie Golden's novel, but also a comic mini-series named Star Wars: Darth Maul - Son of Dathomir and eight TV story reels. The second four-episode story arc was called Bad Batch and was released months later and first shown publicly at Celebration Anaheim on April 9, 2015. What were your thoughts on this Clone Wars canon novel? Let us know in the comments below.